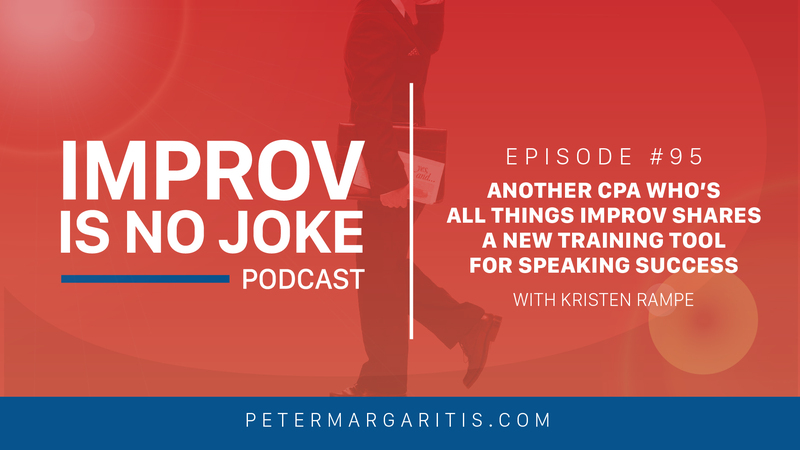 Kristen Rampe, Founder of Kristen Rampe Consulting, returns to the show to discuss how CPE educators can get the best out of their presenters and subject matter experts and a new training tool for those who want to build confidence when speaking in front of a crowd: PowerPoint Improv! If you want to get better at speaking, this episode is for you. Kristen conducted an excellent breakout session during the 2018 CPE Educators Conference, in which a group of us discussed how we can get more engagement from our audiences. One of the things she talked about was giving the different personas in the room what they need – but what does it really mean to know your audience? If you don’t know who they are and what they want, it’s going to be a lot harder to provide value or engage them. Remember: in any speaking engagement, it’s not about you, it’s about the audience. Kristen recently discovered this new kind of improv, which she’s calling Slide Deck Improv, and I’m fascinated by the concept. It sounds like excellent training for any professional speakers, or just anyone who wants more confidence in front of crowds. Plus, it sounds like fun! After some basic improv education and warm ups, participants get on a stage with a slide deck that they’ve never seen before. In proper improv fashion, they get a topic from the audience. The participant gives a presentation on that topic! Kristen says most people go into this a little bit nervous, naturally, but then they realize just how much they can do, how much they know, and how many stories they can tell. Check out kristenrampe.com/slide-deck-improv to learn more, and to see a video of Slide Deck Improv in action.